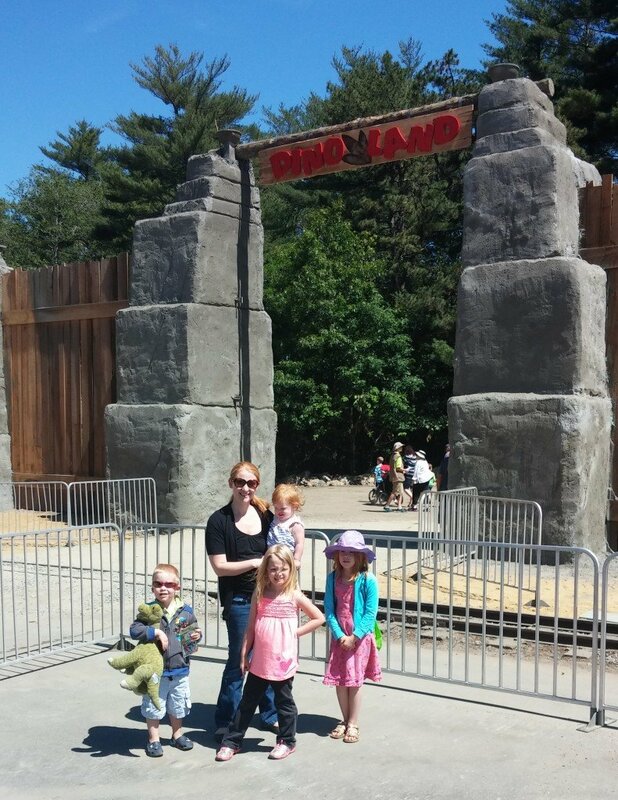 My family and I were able to visit Edaville USA today for the Grand Opening of Dinoland! 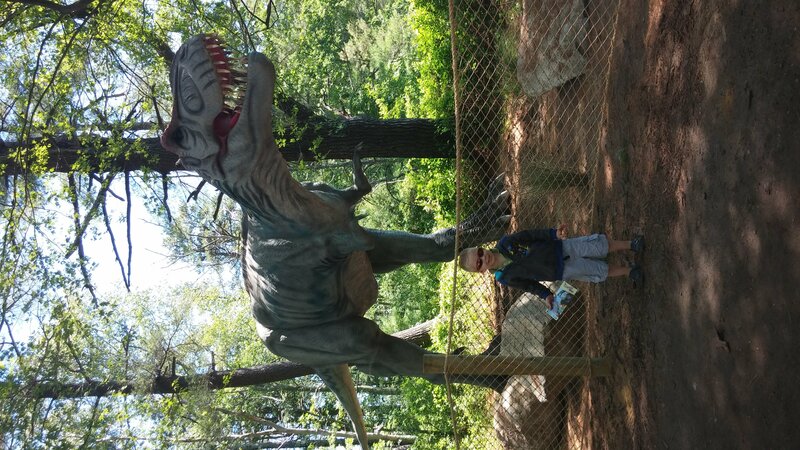 As we were crossing the train tracks into Dinoland my son was jumping up and down with excitement. 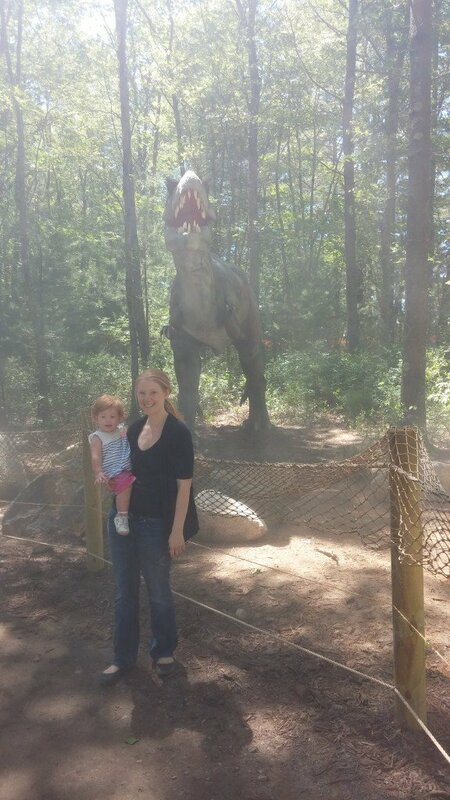 When we entered Dinoland we picked up a pamphlet that had information on all of the different dinosaurs that we were going to see. 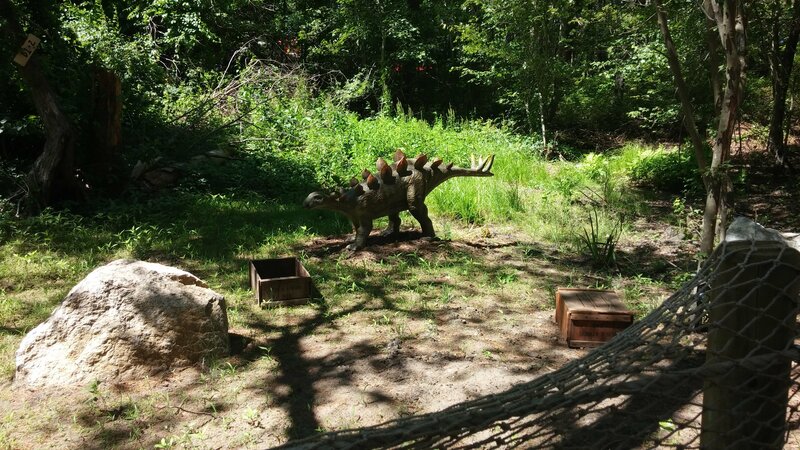 We then started walking down the dinosaur trail to see our prehistoric friends! 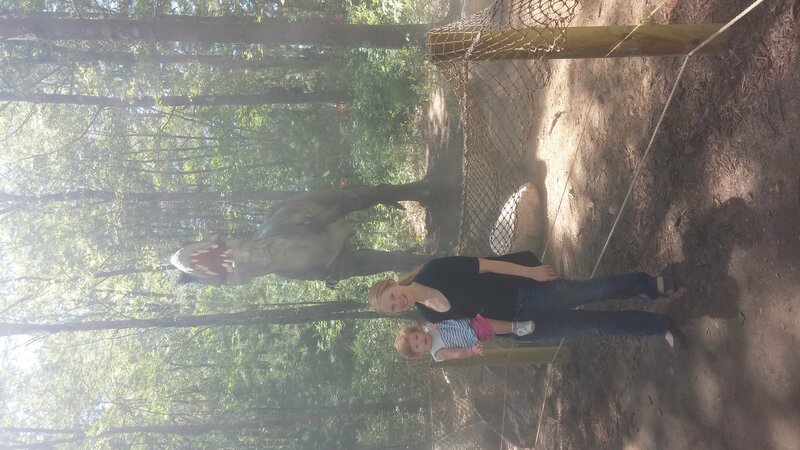 The dinosaurs were amazing. They looked great, had audio and were animated. 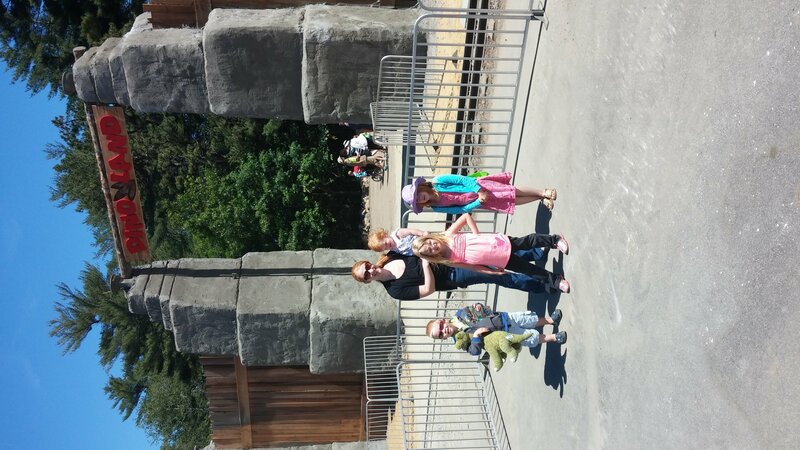 All three of my big kids were convinced that the dinosaurs were the real thing. Look what this guy did to one of Edaville’s roller coasters! Edaville had the wonderful idea to mist around a select number of their dinosaurs. 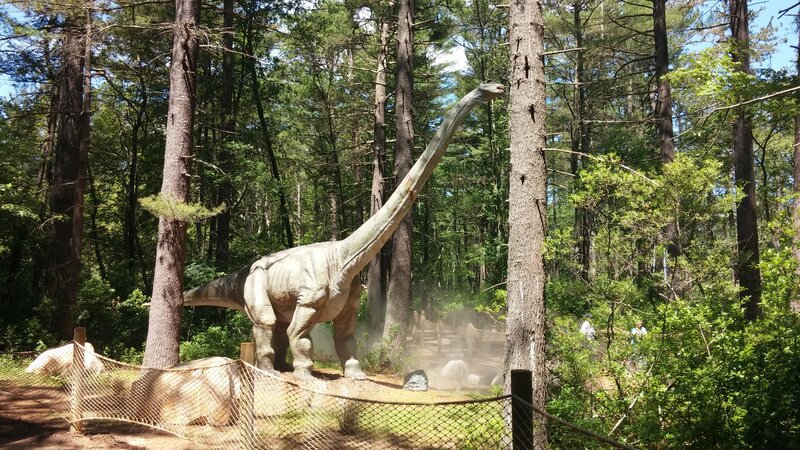 The mist gave Dinoland more of a prehistoric jungle feel and it helped keep everyone cool! 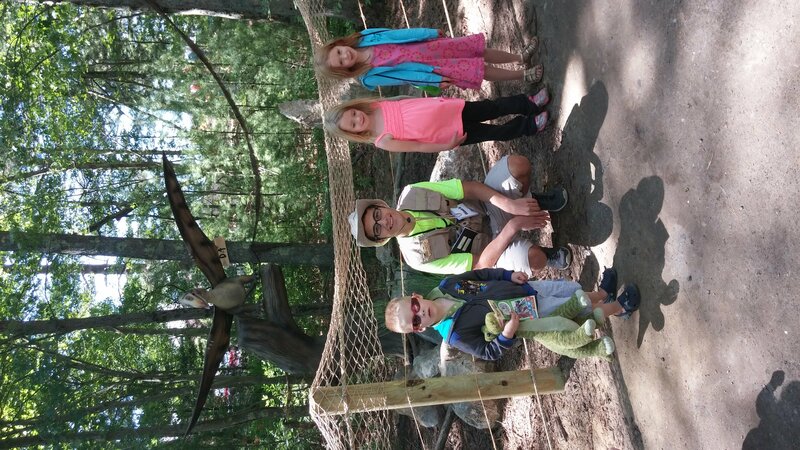 Here we are with our favorite paleontologist! 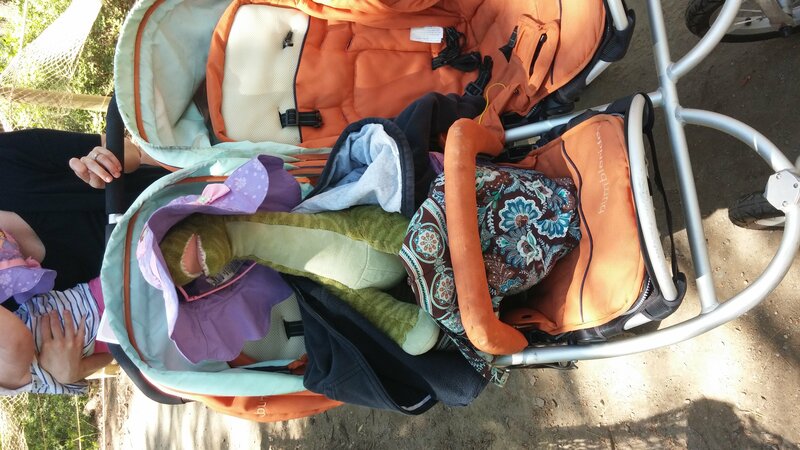 What do you think about our disguise for Brachiosaurus? 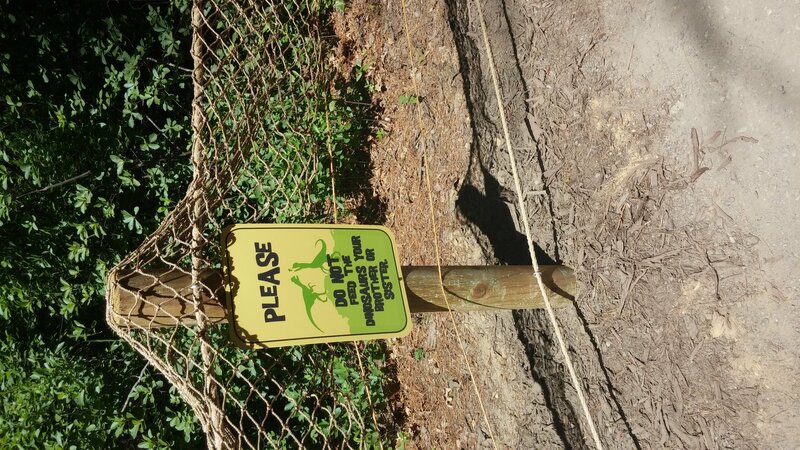 It took us about 30 minutes to see the over 20 dinosaurs in Dinoland. 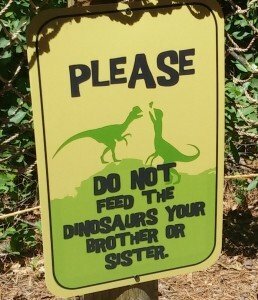 When you visit Dinoland make sure to read all of their clever signs! 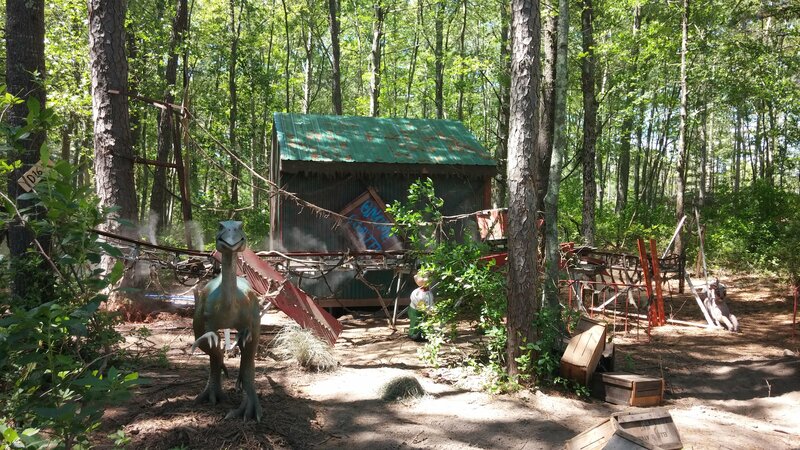 As you enter and exit Dinoland you will see a small tent with a Dino Dig area that children can explore. 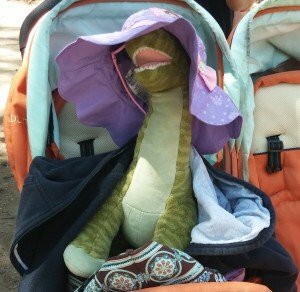 There is also a gift shop with dinosaur themed toys, trinkets, apparel and candy. 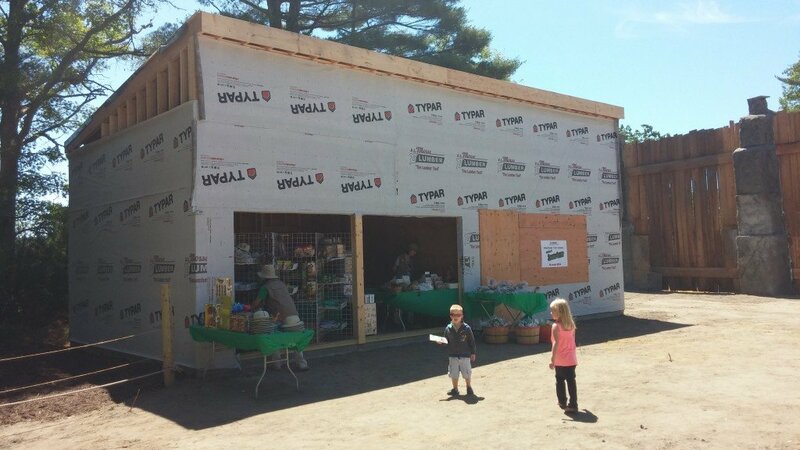 The gift shop is currently under construction, but open for business. The shop is reasonably priced. I usually don’t usually let my children buy things from gift shops but today I made an exception and let them get a bag of Haribo Dinosaur Gummies. My children and husband were very happy with our $2.50 purchase. 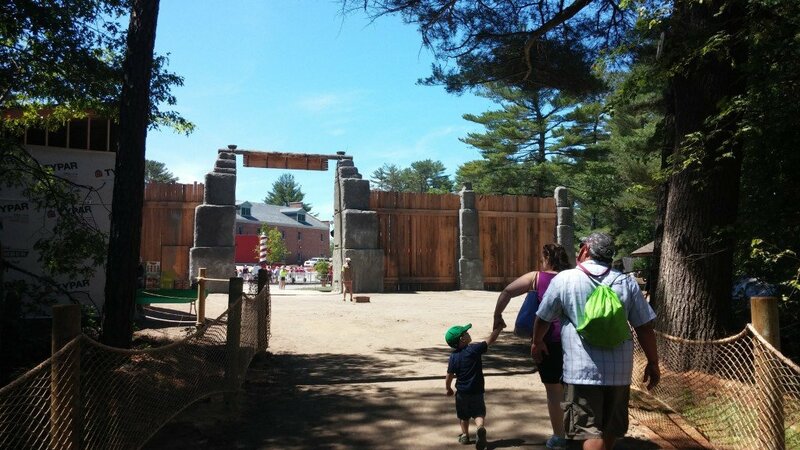 Finally, make sure you ask an Edaville employee if Rex will be making any appearances on the day of your visit. 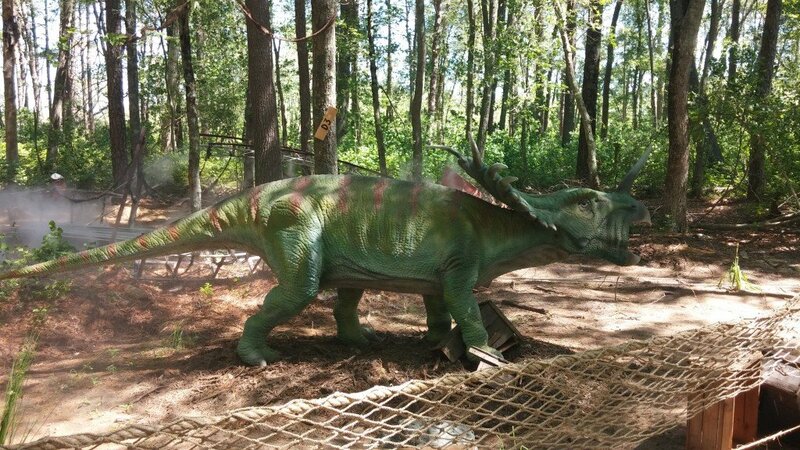 Rex is a friendly dinosaur that roams around Edaville! 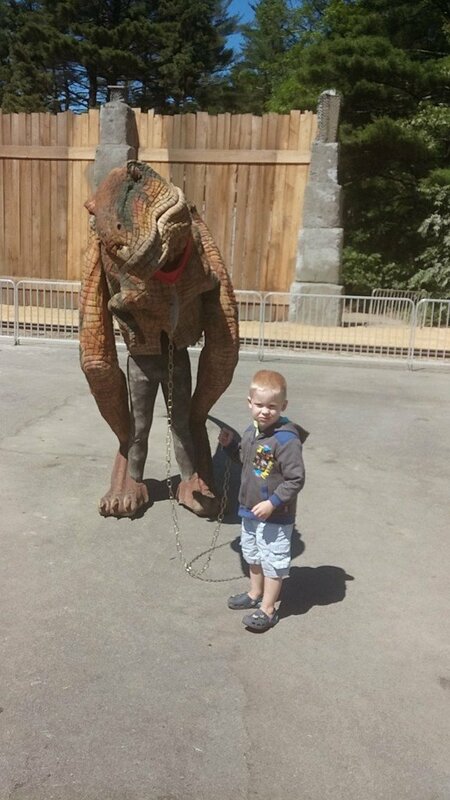 Kids can walk, pet and take pictures with Rex. 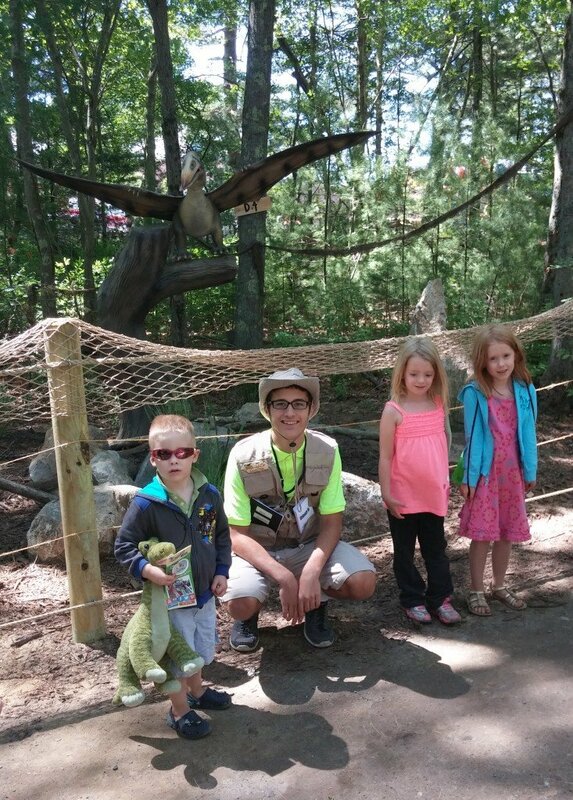 We had a wonderful time at Edaville USA and their brand new Dinoland. I would highly recommend taking a day trip there. Disclosure: I was provided with tickets to Edaville USA in exchange for this review. I received no other compensation. As always, all opinions are mine and those of my family. Looks like great fun! 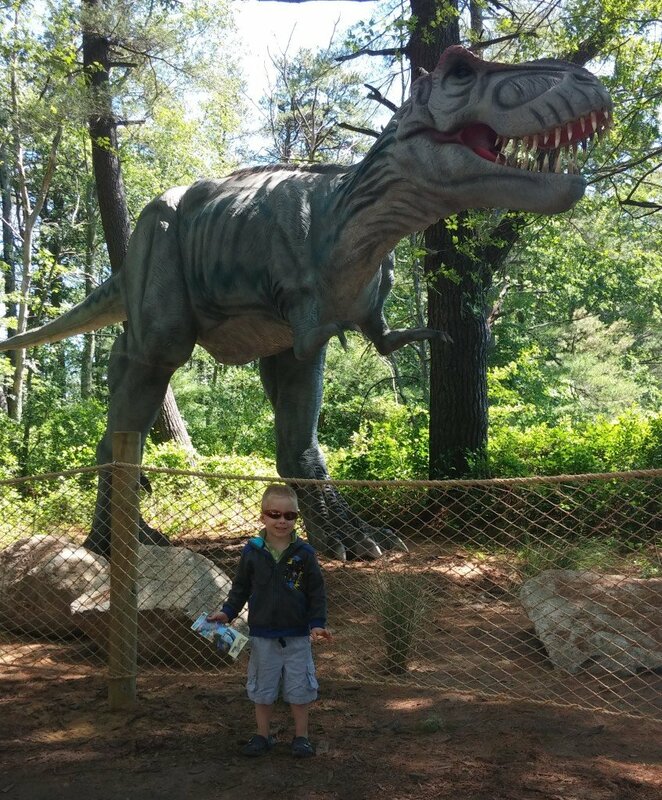 What kiddo wouldn’t love going back in time to DinoLand!!! !